Wildstar is a sci-fi MMORPG developed by NCSoft. It’s a subscription (pay to play) MMO that was officially launched on June 3, 2014. This game is destined to be one of the most successful new MMORPGs of 2014 because it delivers on its promise to give players tons of fun adventure and battle as well as a rollicking good time with its great sense of humor and story. 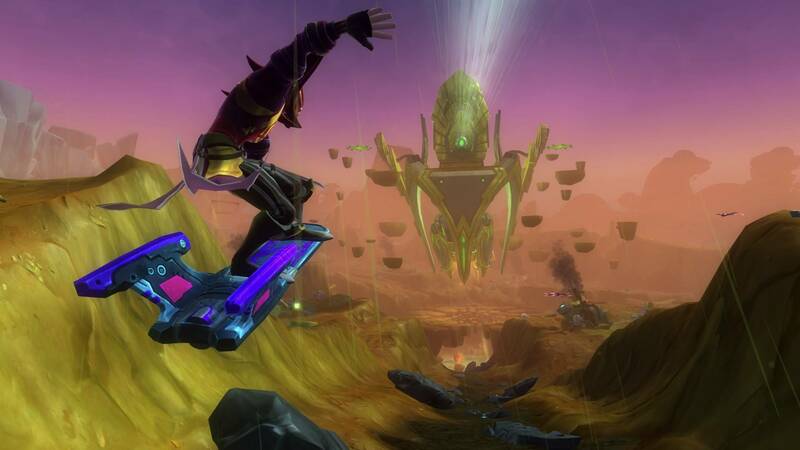 Wildstar contains several mounts and several zones on the planet Nexus. Two factions wage war against each other for ownership of the planet left behind by a mysterious race. 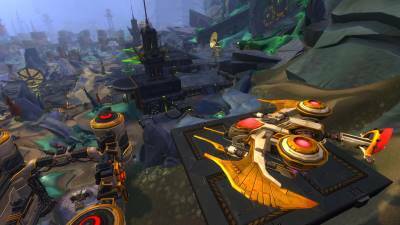 Wildstar boasts about being truly unique, and I can agree that it is amazingly original in many of its systems and customization. No matter which side you choose, both of them will keep you entertained with comedy and allow you to be free to explore at will. Massive adventure zones are all over the planet, and there are many ways of travel from mounts to “taxis” that will take you great distances. 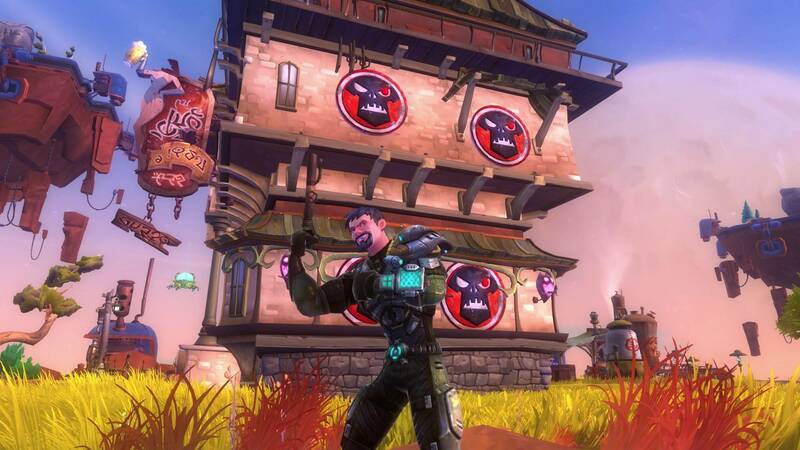 Wildstar offers a huge array of customization for everyone to enjoy. You can customize the body size of your character as well as facial features, arms, legs, muscle size, and even as much as length of tails on some races. Aside from character creation, you can get other outfits and even make your armor appear like other armor from other classes. You can change weapon appearance and mounts can be customized. The most customizable part of the game is the housing system. With over 2500 items to choose from and over 15 building types and sizes, you can create the house you dream of in the game world. Neighborhoods of both public and guilds are available and offer the community feel. What’s more, you can add NPC merchants to your home to create a shop to sell your wares to as well as be able to buy anything you may need from other players. In Wildstar Online, there are two factions that are locked in war with each other. Both believe it’s their right to rule on the mysterious planet Nexus after its discovery. The Dominion seeks to add it to their Empire and the Exiles are rebels who desire only freedom from the Empire’s grasp and to live on the planet without their influence. The Dominion consists of Cassian, Mechari, Draken, and Chua races. It’s a very powerful empire that was founded by the Eldan (former rulers of Nexus) and it claims Nexus as its rightful legacy and inheritance after it was abandoned mysteriously by the Eldan. The Exiles are made up of the Humans, Granok, Aurin, and Mordesh races. They are outcasts and mercenaries who have come to Nexus in search of a new home. They seek freedom and independence from the vile Dominion and their Empire. In Wildstar Online, there are eight races to choose from, four per faction. The race can determine which classes you may play as. Some races are locked to certain classes, usually three choices though for each at the minimal. But the human races are able to be any class available. The human races are the most common and varying of all the races. There is the Cassian and Humans, both of which are basically the same just varying in sense of loyalties. The other races aren’t as varied in terms of classes, but they are unique to the classes they can be. There is always a way to match the player’s play style regardless of race choice. There are 6 classes to choose from in WSO. These classes vary from melee to ranged and healing classes like most MMOs. There’s a class for every style of gameplay. One of the most unique features of Wildstar is the Path system. The Path system allows the players to play how they like regardless of class. It effects all path quests which is what primarily makes up the questing system. You can be a Soldier, someone who fights more often then the other paths, a Settler, who builds shops/bars/buffing stations among other stuff to aid you on your travels, an Explorer, who journeys far and wide to gain glory and honor as the first to reach extreme locations, or a Scientist, who searches for new ways to learn about the mysterious planet Nexus. The Soldier is who serves on the front line as a full-time fighter. They will primarily seek out challenges and assassination missions to help make things easier for others to get by. Wherever battles are, the Soldiers aren’t far behind. The Settlers look for places to set up buffing station and where to construct shops and bars to buff the travelers who pass through. Constantly picking up materials to make such stations, the Settlers will find themselves scavenging for supplies more often than fighting. The Scientist searches for hidden pathways and mysterious information regarding why the Eldan left Nexus. They analyze any rock, any plant, and any caverns all over Nexus. The Explorer searches for ways to explore the great lands of Nexus and looks for hidden tunnels and high mountains to lay claim to. They seek to be the first to reach extreme locations by jumping/gliding/falling/or even running very fast. They scout and map locations for the other paths as well. The combat in Wildstar Online is an action style similar to Tera, but with a lot more mechanics to learn. You can dash, dodge, glide, leap, double jump, and quick turn to change up the battle style. Although most of the classes will be either ranged or hack-n-slash, each has its own unique fighting style which makes everything interesting when fighting alongside another class. 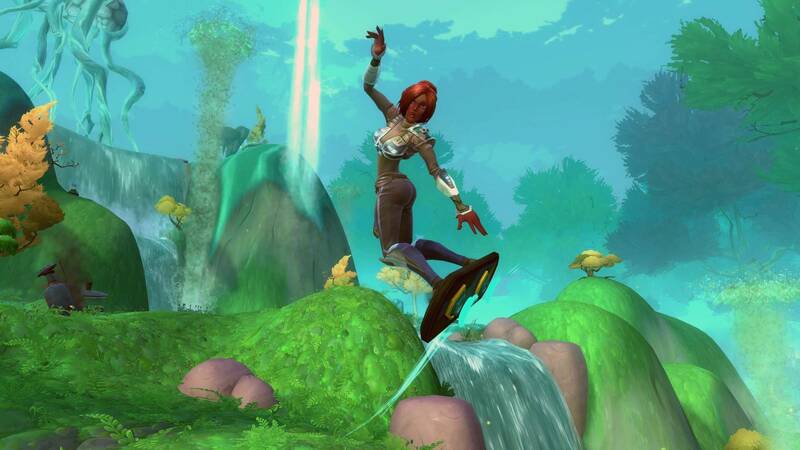 Among the combat systems is PvP, which is very amazing in Wildstar. You can join battlegrounds and fight solo against others, or you can participate in open world conflicts between the Dominion and the Exiles. There are many ways to fight other players, and having a guild doing it just makes things more fun. The classes are balanced and fair to all, so it makes the PvP challenging and entertaining. NCSoft promised to provide a unique Sci-fi game with never before seen concepts, and I feel they delivered very well. Anyone who I’ve known has played it, enjoyed it. The game has many unique systems installed into the combat, as well as the huge amount of customization available on all fronts. There were a few bugs when I played and I got stuck between some mountains, but I felt at home with the freedom to explore a hostile land to find the treasures waiting for the players. There were several hundreds of places I could jump really high at and climb up mountains by jumping from platform to platform. I was reminded of their other great game Guild Wars 2 quite often while playing Wildstar. There’s a lot of content to explore, many hidden dungeons, and several raids to enjoy as a guild or with public parties. I was busy during the entire time I played it and found myself gaining levels quickly and into many other regions full of beauty and war. All in All, the game delivers on all promises made and is truly unique for the sci-fi genre. There can be some issues now and again but overall the game is smooth and the community is great and helpful. If one word can describe Wildstar, it would be “Unstoppable” as it has grown beyond most other games.